There are many intentions behind why we have created a blog but the most common yet important reason is to Drive Traffic. It doesn’t matter whether the blog is set up to earn money in some way either by selling services or products or promoting brands, to achieve any of them you need “Traffic”. Let us imagine: You have posted a longer, more informative yet interesting content, but if no one visits your blog, how are you going to generate more traffic or sales? In this article, I am going to introduce one of the effective yet underrated marketing strategies – Forum Marketing! As some of you may have read my previous article on SEO resources “Forum posting sites list“. But I thought it would be better to let you know how forum posting can be used to drive traffic to your blog. Forum Marketing has been considered as a watering hole of more traffic and potential leads. However, just leaving a generic post with the signature link isn’t going to get you a wave of traffic; instead, you need to implement few simple tricks too. In this article, you’ll learn tested strategies and techniques that you can implement to get the most from forum marketing. No matter what the niche of your blog post is, there are various forums on the Internet where people join as communities to discuss their ideas, issues, and hobbies. There are many successful online forums which are generating hundred times more income & traffic than the websites of similar SERP’s. Choosing the right forum that matches your blog niche will add more credibility and also show your worth. So be wiser and do a little research before choosing the forum. For example, my niche is blogging, SEO and digital marketing. I mostly use 2 forums DigitalPoint and WarriorForum. Suppose your blog niche is real estate you can start with forums like Indianrealestateforum and Magicbricks. Ask questions & answer to other questions for better visibility and exposure. Learn who the key players are? Watch to see what topics are hottest and have more discussion threads. See which areas of the forum are most active. Observe what rules and guidelines of the forum are. 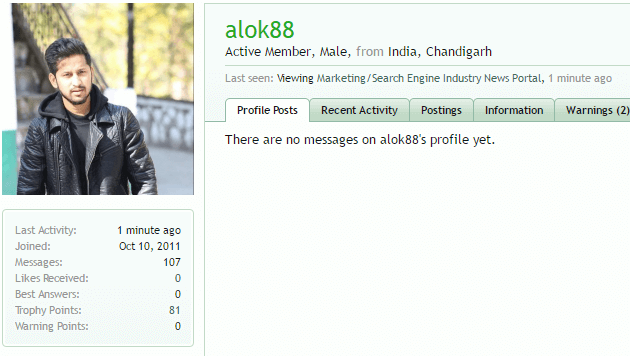 Complete your profile with all details including who you are, what your hobbies are, where you are from and so on. And also add a profile picture of yours because people would love to communicate if they were aware of with whom they are communicating. Set up a very simple yet effective signature so that when you start posting people can find out more about you. Use links as your signature, so whenever someone clicks on your signature, it will redirect them to your blog which will significantly increase your blog traffic. You can also provide link to your product link too but many forums do not allow affiliate links so do read rules before posting your signature link. So make your signature attractive (say “No” to flashy fonts and bright colors) as well as creative so that it will tempt the people to click on the signature. Many high authority forums have certain rules and regulation to add a signature in your profile. Such as you must be an established member to have a signature. This is to maintain the forum quality and to avoid user profile spamming. You have watched what’s going on in the forum, done creating your profile, so now it’s the right time to start interacting with forum posting. A few posts a day for the very first week is more than enough. Answer politely in a friendly tone and be positive in every aspect, help if someone asks you for anything or you know any knowledge about anything. Give make a proper answer in a casual way, this will open a way for having potential customers which in turn brings more fans to your blog (i.e. Traffic). Note: Do not share your own links in your comments. This can be lead to a permanent ban in many forums. As each profile has its own limitations in sharing links. Once you’ve found the forum, be active and participate in discussions! Participating in discussions is one of the main factors to be considered in the field of traffic driving. Don’t be frantic to drive traffic to your blog post and also don’t convey points that are irrelevant to the discussion going on. This will annoy people and hurt the reputation of your blog posts. Discussions are your main marketplace in forums. Make more connections and get to know more people in your field. Creating new connections will create a new identity for you on Internet and also provide you with more stuff that will help you to enhance your knowledge. Like or thanks to the users who provide helpful and informative answers. While forum posting, make sure whatever you’re posting will be helpful to others. For example: if you’ve chosen the forum Warriorforum, the No.1 Forum Community Of 1+ Million Digital Marketers, the step-by-step tutorial, technology related content are such posts that readers value the most if written in right way and with good resources. Here is one quick checklist for creating engaging content. 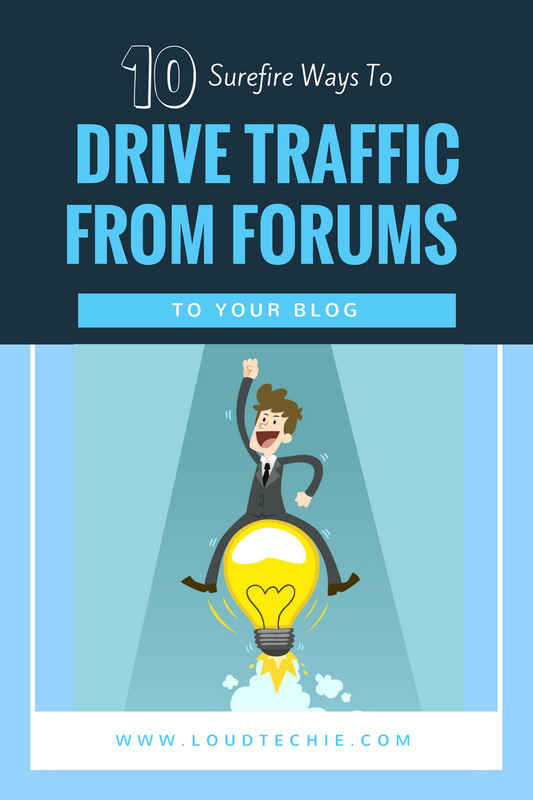 If you follow the above-mentioned forum posting tips, I assure you will gain more word of mouth traffic. If the forum members like your conversations and your way of answering their questions, they begin to read your blog. When they find something interesting on it that they like, they write about it in their posts too. This will automatically increase the credibility of your blog as well as drive more traffic. Once you add a comment to the existing thread or create a new discussion, make sure to stay subscribed to the thread. So that you will receive notifications if there is any new comment and make an instant response. That’s going to increase your insight of expertise in the forum and increase the probability that people are going to click through your blog post. I have implemented all these tips and I am spending just 30 minutes on discussion forums daily. This little effort has successfully driven a good amount of traffic from forums every single day to my blog. It’s all because of the forum marketing strategy which I’ve mentioned above. Don’t forget to share this article with your friends and others on your social networks. Thanks for reading and I’ll see you in the next article! Once you add a comment to the existing thread or created a new discussion, make sure to stay subscribed to the thread. So that you will receive notifications if there is any new comment and make an instant response. That’s going to increase your insight of expertise in the forum and increase the probability that people are going to click through your blog post. Thanks for this helpful tip Sabbir. Good article for new bloggers. Thanks for your feedback Roopkala.